Spanish villas, drought-proof landscaping, fun and vibrant colors. When it comes to Southwestern states like Arizona, there are certain architectural features of which we expect to see plenty. The 10 neighborhoods on this list boast myriad examples of the aforementioned features and more. While some are historical and others luxuriously modern, each neighborhood on this list consists of a collection of homes, streets, and parks that appeal to lovers of both architecture and beauty. These neighborhoods are, simply, the most architecturally charming neighborhoods in the state of Arizona. Located in the southeast corner of Gilbert, Agritopia is a neighborhood unlike any other. The houses are new, but modeled after the Craftsman, Spanish Revival, Arizona Ranch, and Northern European Revival styles that were so common in Arizona during the 1930s and 1940s. And the coolest part? The entire neighborhood is a working farm. 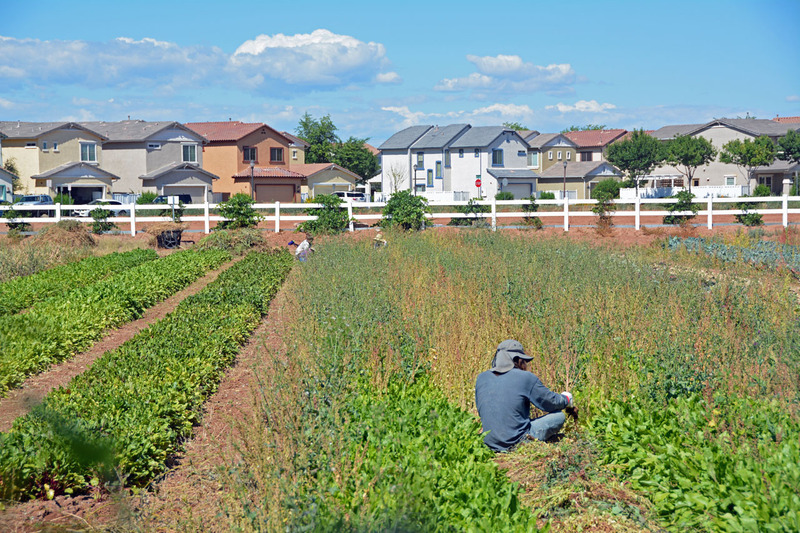 Crops and other produce are grown in the community parks and gardens, then sold at local farmers’ markets or grilled up at a local restaurant. 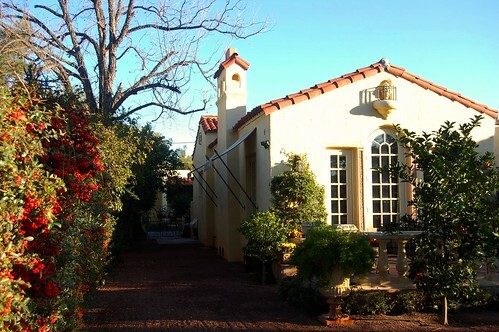 Tucson’s Barrio Historico is a charming neighborhood unlike any other around. A remnant of the old Mexican barrio that once thrived on this land, Barrio Historico is a beautifully preserved collection of adobe and mud-brick row houses dating from the late 1800s. The houses are painted in a variety of vibrant colors, and many have been renovated or restored with traditional sonoran construction, including roofs made of saguaro ribs and packed dirt. On the outskirts of the neighborhood are even some red-brick Queen Annes, which would feel like an odd addition if they themselves weren’t so charming. The entire Barrio Historico neighborhood consists of about 20 blocks and 250 beautiful historic properties. Thanks to the homeowners here, Phoenix’s historic Brentwood neighborhood is making a huge comeback. Most of the homes in this neighborhood date back to the early 1900s, and were in various stages of dilapidation before caring owners took on the often-expensive tasks of updating, retouching, and rebuilding. Today, Brentwood is once again an “up-and-coming” neighborhood conveniently located near downtown Phoenix and lots of popular local restaurants. For a house in Brentwood, prospective buyers should expect to pay around $150,000 for an historic home in need of a little TLC. For those seeking modern luxury, there may be no better choice than the Dove Mountain subdivision. Located in the small town of Marana, Dove Mountain has established itself as one of the most popular neighborhoods in the state. It has a distinct resort-like feel to it, maybe because it is the chosen location of both a championship golf course and a Ritz-Carlton. Houses here range from affordable to astronomical in price, and are almost all built in the traditional southwestern architectural style with muted desert tones and saguaro-lined streets. Sometimes referred to as the Beverly Hills of Tucson, the El Encanto neighborhood is characterized by its curving tree-lined streets, California-inspired layout, and lush landscaping complete with palm, citrus, and eucalyptus trees. The houses here are big, lovely examples of Moroccan, Spanish, and Italian Mediterranean architectural styles. The houses date back to the 1930s, when the neighborhood was built in the hopes of attracting wealthy East Coasters to the Southwest. Today, it’s a popular choice of address for University of Arizona professors and administrators. 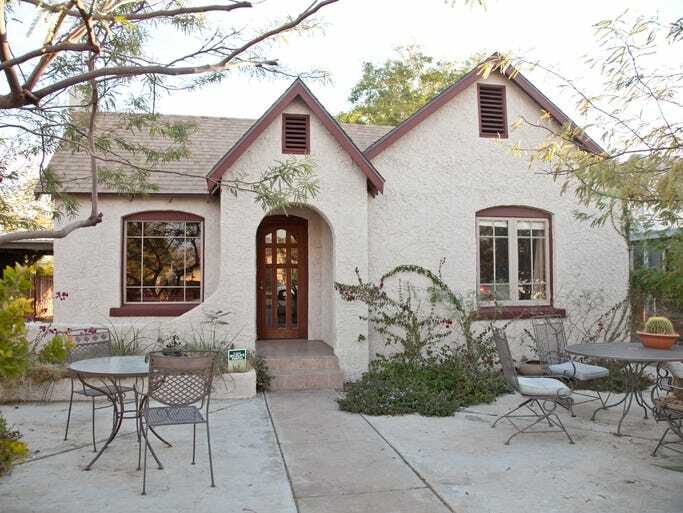 A well-preserved home in the El Encanto neighborhood can be bought for around $500,000. With houses and buildings dating from 1900-1930, Feldman’s Historic District (FHD) is undoubtedly one of the most architecturally charming neighborhoods in Arizona. Architecture styles here include the bungalow, Spanish Colonial stucco, and Craftsman. As is typical of neighborhoods dating from the early 20th century, lots in the FHD are narrow and deep, and the homes take on unique shapes as a result. Interestingly, the neighborhood’s local retirement home, St. Luke’s in the Desert, was once a sanitarium for tuberculosis patients. Looking for luxury, lakes, and lushness in the midst of the Arizona desert? 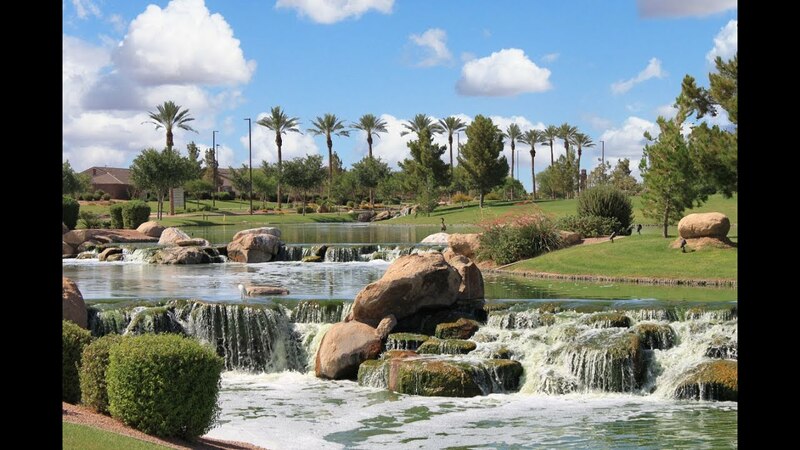 Look no further than Chandler’s Fulton Ranch neighborhood. Upon entering this exclusive gated subdivision, one’s eye is instantly drawn to the serene natural beauty brought to the neighborhood through lakes, waterfalls, parks, and green spaces. Surrounding each lake and park are large impressive homes built in modern Spanish villa architectural styles. An aquatic center, basketball courts, barbecues, and picnic areas add to the charm of this beautiful oasis. La Hacienda is a highly desirable neighborhood located in the greater Phoenix area. Most homes here were constructed in the late 1920s in the ranch and the revival styles, and were originally built to be a part of the Phoenix Country Club. On the edge of the neighborhood, within walking distance of each residential street, is Seventh Street, where residents can enjoy a variety of fun and trendy restaurants and cafes, yoga studios, bakeries, and boutiques. Paradise Valley, a tiny town situated on the outskirts of Scottsdale, has become an increasingly popular choice of address for retirees and those who enjoy spending time outdoors. The houses here are big, grand, and expensive — part of the reason that some have referred to it as the “Beverly Hills of the Southwest.” A whopping 12 resorts exist within Paradise Valley, all of which include infinity pools and golf courses, and are gorgeously designed in a modern Southwestern style. Lush, tree-lined streets may not be the norm in Arizona, but the historic Sam Hughes neighborhood is a glorious exception. Here, mission-style bungalows and turn-of-the-century territorial style houses are painted every shade on the color spectrum, while multiple parks provide plenty of green space for local families and pets to spend time. A library, public swimming pool, cafes and restaurants, and locally owned shops also exist here. The neighborhood, a designated historical district, has long been sought after by everyone from students to retirees. Houses for sale don’t come around often, and when they do can sell for anywhere between $200,000 and $1.5 million.